After seeing how much Pinterest grew her website traffic, Jenna Tracy knew it was a powerful search engine tool. Soon she began assisting other bloggers and small business owners with Pinterest accounts. Harnessing the power of this incredibly lucrative traffic source, Jenna earns a tidy $3k a month, offering personalized services built on solid working relationships. Find out all about how Jenna started, how she gets her new clients, and what’s she’s doing to keep her business growing in this episode! 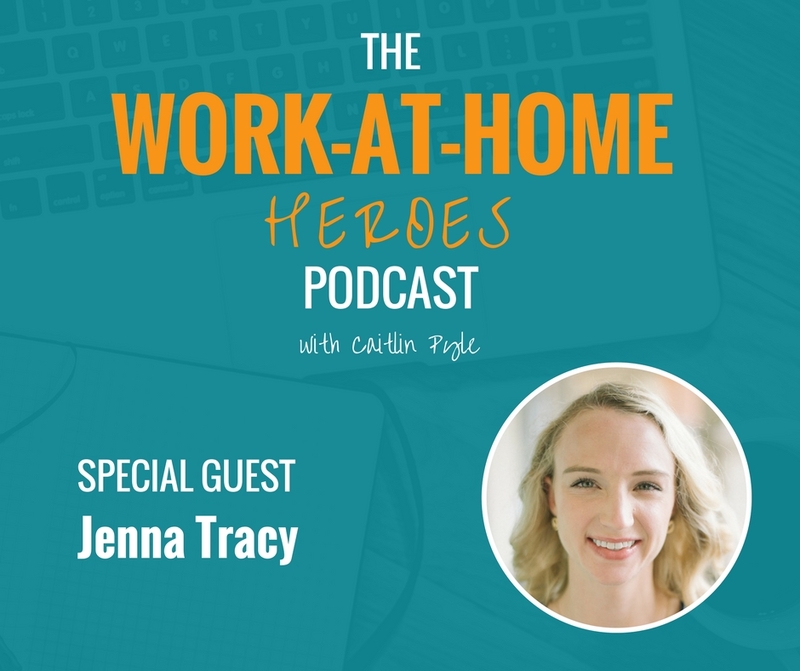 Read the transcript of The Work-at-Home Heroes podcast Episode 13 here. Are you interested in learning more about a career in proofreading? Go to Proofread Anywhere for more information! Make sure to visit the Work-At-Home School to see when the next enrollment starts! Check out Jenna’s website to sign up for a great freebie! Have you joined the Work-At-Home Heroes Facebook group yet? Sign up today! Do you have a question for Jenna? Head over to her Facebook page to contact her! Got a question for Jenna about this episode? Head over to the Work-At-Home Heroes Facebook page and ask on this dedicated thread! I absolutely love engaging with your content, especially when you have interviews with business success stories like this where they are just getting started themselves. What this type of content does for me the most is reinforce what you teach and share through all of your various resources available to those of us getting started. This podcast reminded me, once again, what the most important things are to focus on and forget the rest. It helps tremendously in getting important things done each day toward my goals, and make better use of my limited time after my full-time WAH job is done for the day. As always, THANK YOU CAITLIN! Looking forward for your pinterest webinar.